It's a boy! 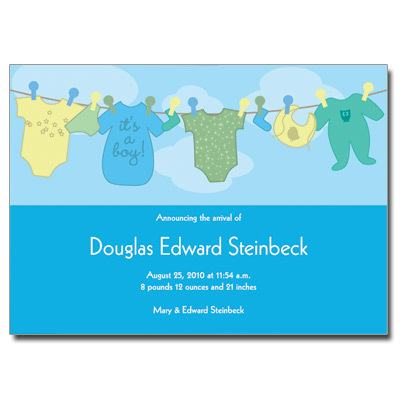 This design features colorful baby wear on a clothesline with personalized information below. Card measures 5x7.